Cashback Reward : Earn up to 122$! 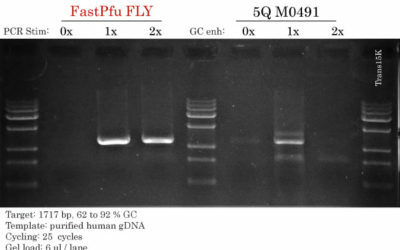 TransStart® Top Green qPCR SuperMix is a ready-to-use qPCR cocktail containing a novel TransStart® TopTaq DNA Polymerase, optimized double cation buffer, SYBR Green I fluorescence dye, dNTPs, PCR Enhancer and PCR stabilizer. qPCR SuperMix is provided at 2x concentration and can be used at 1x concentration by adding template, primer, passive reference dye (optional) and H2O. 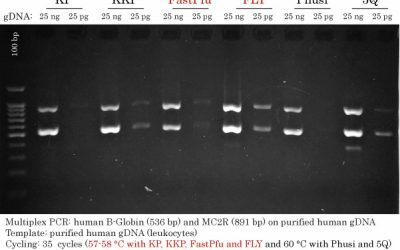 TransStart® TopTaq DNA Polymerase, a novel “hot start” enzyme with double blocking technique, provides high sensitivity, high specificity and accurate data. Passive reference dyes are suitable for different qPCR instruments(normalize the fluorescent signal between reactions).